Have you ever partaken in any conference for students, prepared a report for your teacher, professor, or instructor, or delivered a speech trying to cover the key points of your work? If yes, then you should be well knowledgeable about different problems that a speaker should solve until the day before the event – in the majority of cases the time that you are supposed to deliver your speech for has some specifics, no more than two or three minutes assigned to you. If you need to know how much time your speech lasts, you need to deliver it at home. If you have time constrains or restrictions, it is very back-breaking to choose the most significant points of your speech. If You Need to Clear Out How to Convert Words to Speech? You should know the exact number of words your presentation is to have. Indicate the number of minutes and words by applying our Words to Time Calculator. 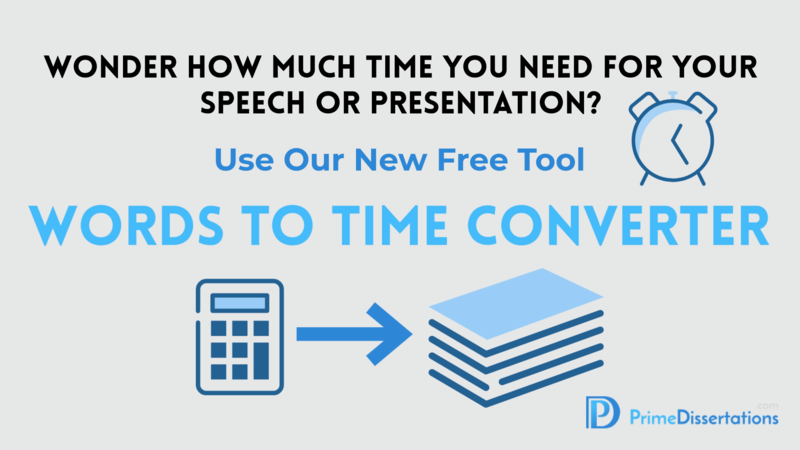 Our professional company can help you to convert the words number into the precise time that it will take you to present your speech to your future audience free of charge. The following tool is very useful and practical when you should prepare either a presentation or a speech. The number of minutes usually depends on the words number, as well as the speed of people’ reading and speech. If you need to know how to convert words to speech calculator, you should put your text so as to check the number of words, the speech rate, and close speech time. Take into account that the result depends on your speed of speech and serves as a simple indication only. NB: The following words to time calculator can provide only an indication. Utilize it as a guide only! You will not be able to lose your precious time while testing the speech length. Cease getting worried about failing to meet the conference requirements from this very moment. Simply apply our words per minute calculator and focus on completing the best speech ever. The overview presented below is supposed to provide a clear and understandable indication of the exact minutes for any type of speech. (Consider that, an average reading speed equals about 120-140 words per minute).